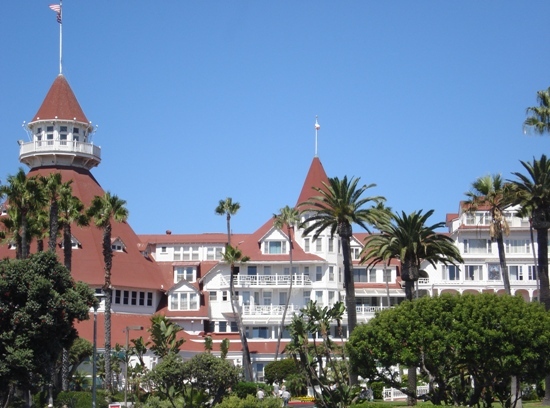 Haunted or not, Hotel Del is absolutely stunning!!! I once attended a work Christmas party there. With formal table settings before us, none of us at my table could remember the rule for using our utensils–was it outside-in or inside-out? I think we all pretty much agreed to pick up whichever fork. LOL. 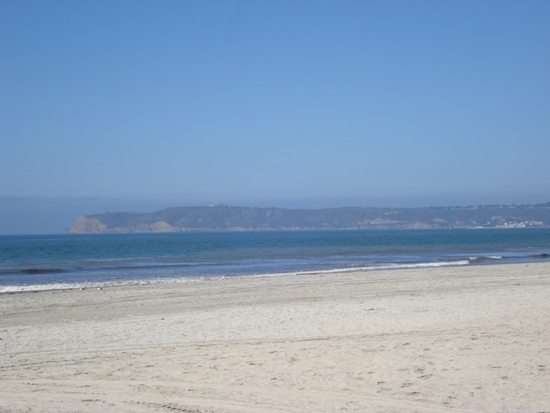 UPDATE (October 2008): The above photo is featured in the Guest Photos section of Great Hotels of the World. 3 other movies had also been filmed there: The Stunt Man (with Peter O’Toole), the 1973 film Wicked, Wicked (completely filmed on location there), and the 1990 version of My Blue Heaven (with Steve Martin). 15 U.S. presidents have stayed at the hotel: Benjamin Harrison, William McKinley, William Howard Taft, Woodrow Wilson, Franklin Delano Roosevelt, Dwight D. Eisenhower, John F. Kennedy, Lyndon B. Johnson, Richard M. Nixon, Gerald R. Ford, Jimmy Carter, Ronald Reagan, George H. W. Bush, Bill Clinton, and George W. Bush. The movie “Somewhere in Time” was based on the book, “Bid Time Return” by Richard Matheson. 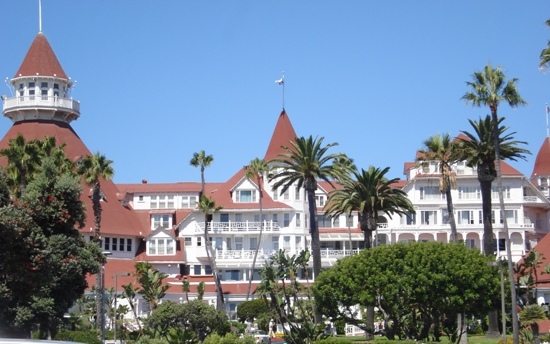 For several weeks, Matheson had stayed at the Hotel Del, which also served as the novel’s setting. “Somewhere in Time” was filmed at the Grand Hotel on Mackinac Island, Michigan. 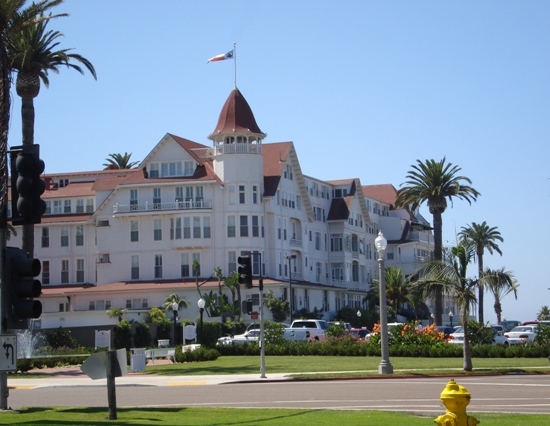 Other photos of Hotel Del.